According to several reports, information, communication and technology could spur the growth of the continent, despite ranking low in connectivity globally. Released at the World Economic Forum (WEF) on Africa held in Cape Town earlier this month, The Global Information Technology Report 2015 (GITR) [PDF] revealed that the biggest African economies have dropped in ranking in the annual Networked Readiness Index 2015 (NRI). Nigeria has dropped seven places to occupy the 119th position, while South Africa has gone down five places to sit at 75th. Kenya, one of Africa’s fastest growing economy has beaten the odds and gone up six places to occupy the 86th position. The outlook does not read well for the continent. “The performance of sub-Saharan Africa is particularly disappointing: 30 of the 31 countries included in the sample appear in the bottom half of the NRI rankings. The only exception is Mauritius, at 45th. This country has progressed three places since last year and eight since 2012,” the report said. Speaking at the forum, Cisco executives pointed out how Africa should ready itself for the ICT revolution which will in turn change the fortunes of the continent. “Africa can make massive strides in connecting more citizens and bringing about positive social and economic change by improving its Networked Readiness. With political will and commitment from the private sector, progress can be made in bringing the benefit of ICTs to more people,” Dr Robert Pepper, Vice President of Global Technology Policy at Cisco said. “We are already facing the next wave of the Internet – the Internet of Everything (IoE) –Africa needs to prioritise ICT development if it is to benefit from the new experiences and efficiencies that the IoE will bring,” he added. For Africa to enjoy the digital revolution, the executive said the government needs to lead in digitizing its services for its citizens. Kenya has done a lot in digitizing crucial services for its people. The government boasts of digital portals for procurement, tax payment and returns, business registration, official document renewal such as driving licenses and having an official government information portal. The country is in the throes of digitizing what is called the National Digital Register, to have all information of its citizens recorded in one digital platform. David Meads, Vice President, Cisco Africa is optimistic that this is the time that Africans can use technology to improve lives. “As home to nine of the world’s 15 fastest growing economies, Africa is ripe for transformation and is an increasingly attractive environment for global business investments. Technology is at an inflection point and African economies need to prioritise ICT adoption to take full advantage of the benefits that embracing digital transformation strategies will offer,” Meads added. Africa’s low ranking in this report has also been captured by Ovum Research in their yearly broadband development index. Ovum ranked the African continent at 236 points out of 1000. However Ovum noted that this would change as most telecommunication companies rally behind the power of 4G technology whilst supporting the spread of 3G internet services. The countries are also seeing a growth in fixed broadband connections as internet service providers spread their reach bringing to a boil the state of competition. The recent International Telecommunication Union report on ICT Facts and Figures 2015 painted the same picture of the continent lagging behind. 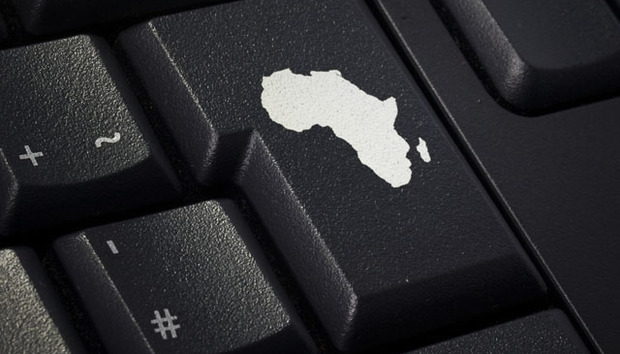 “In Africa, one in five people use the internet today, compared to almost two in five people in Asia and Pacific, and three in five people in the CIS (Commonwealth Independent States),” the report denoted. The report also said that only 10.7% of the continents’ household have internet access, while only 20.7% of individuals can connect to the internet. Lack of widespread infrastructure could be blamed. There hasn’t been much inland reach for the optic fibre cables due to the immense capital needed. But the hunger for ICT can be measured by the fact that mobile penetration has been the fastest globally in Africa, enabling users to have their first internet experience through the mobile web. The Network Readiness Index considers the political and regulatory environment, business and innovation, infrastructure, affordability and the skills in the market.